Flexible hiring is a new staffing strategy that benefits both the companies and the resource offering firms. It helps you meet the immediate business needs or make alternative arrangements in urgent situations. If we look at the recent trend, small and mid-size enterprises are adopting flexible staffing instead of hiring full-time or dedicated staff. It provides a great flexibility to the companies as they have an option to hire people according to their budget and other requirements. It also helps companies analyse and evaluate the potential of the hires. If you require specific technical knowledge for a project that isn’t available in-house, you can hire project professionals with fine expertise and experience in the concerning field. It reduces the costs associated with the recruitment and training of new staff, while controlling overtime expenses. 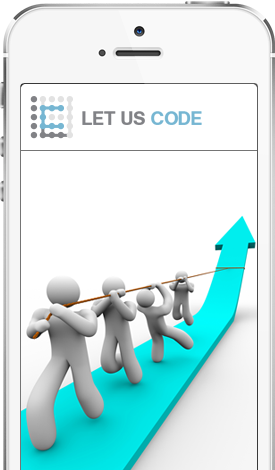 Let Us Code is one of the leading IT and business solutions providing companies with a pool of talented resources. We also provide flexible hiring services to manage your workforce, support new projects and fulfill your short-term or seasonal requirements. You can observe the work of our professionals to determine their potential, and if you find them suitable for the job, you can hire go for permanent basis. Why Let Us Code for Flexible Staffing Services? Our Flexible Staffing Services enable clients to accomplish their short-team requirement for the talented and qualified employees. We support your projects, reduce workforce during slow periods and serve seasonal requirements.